After numerous years as an options market-maker in the trenches of the New York Mercantile Exchange, few analysts know how to make money trading options like author Lee Lowell. 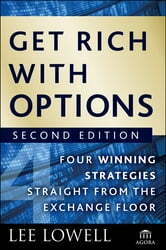 Now, in the Second Edition of Get Rich with Options, Lowell returns to show you exactly what works and what doesn't. Filled with in-depth insight and expert advice, this reliable resource provides you with the knowledge and strategies needed to achieve optimal results within the options market. 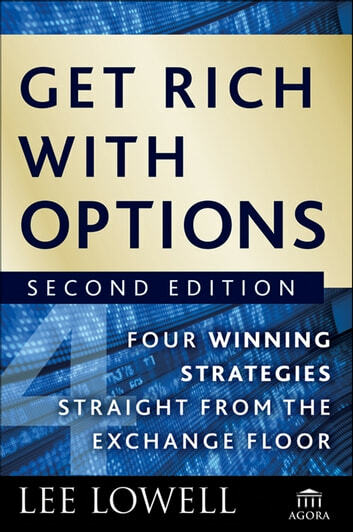 It quickly covers the basics before moving on to the four options trading strategies that have helped Lowell profit in this arena time and again: buying deep-in-the-money call options, selling naked put options, selling option credit spreads, and selling covered calls. With this book as your guide, you'll quickly see options in a whole new light and learn how to become part of a small group of investors who consistently win.